MAK Magic Blog: Cards at Work! The staff at MAK sat down with Cards at Work and could not believe the amount of great card magic and entertainment presented here. There are literally, dozens of effects that are amazing and easy to do. Duh, they’re self-working card tricks! Okay, they may be self-working and that might seem lame to some of you, but they are never the less, baffling and will keep a group of spectators glued to your every move. 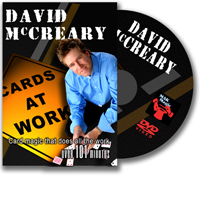 TV personality, actor and magician, Dave McCeary has a presentation style that is easy going and a tad on the crazy side. You will find yourself laughing and learning at the same time as he performs TV Dice, Hands Off, Count Down and even a version of Scarne’s Drunken Poker Deal. 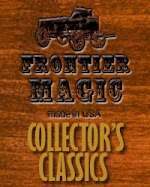 This is a must have for anyone new to card tricks and even for those card pros who could use a couple of self-working effects to add to a well rounded card routine at the tables or strolling. The magic staff at MAK all give this one three thumbs up. Three, there are three of us here hence three thumbs.